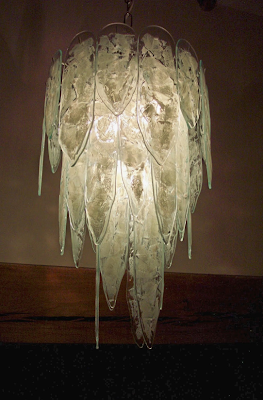 20thCenturycollectables.co.uk: Current stock: Chandelier of contemporary glass pieces made in our Suffolk glass studio. Shown in white abstract design but can be made to customers colour requirements. Diameter 37cm Length 60cm. Hanging chain to suit. 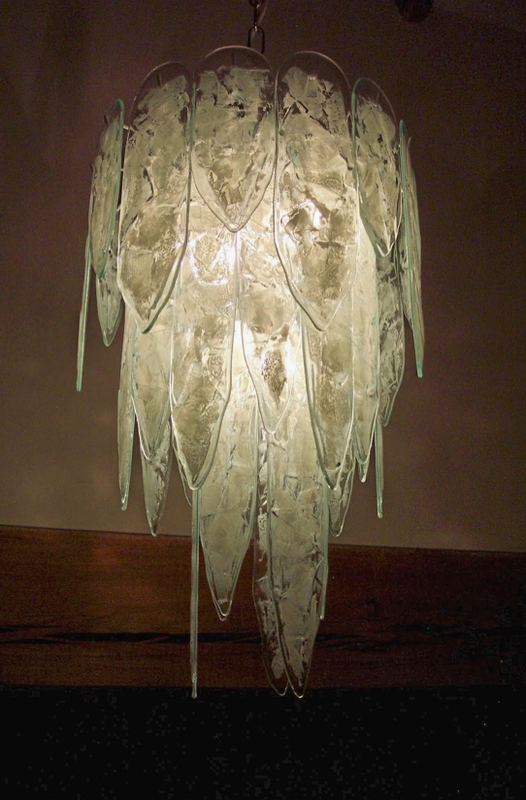 Current stock: Chandelier of contemporary glass pieces made in our Suffolk glass studio. Shown in white abstract design but can be made to customers colour requirements. Diameter 37cm Length 60cm. Hanging chain to suit.